Back to Dimbola Lodge, and writing in her book Annals of My Glass House, Julia Margaret Cameron spoke of one of her maids : 'one of the most beautiful and constant of my models...The very unusual attributes of her character and complexion of her mind, if I may so call it, deserve mention in due time, and are the wonder of those whose life is blended with ours as intimate friends of the house.' That maid was the daughter of a local shoemaker who had come to work for Mrs Cameron as a parlourmaid, photographic assistant and Virgin Mary. She was Mary Hiller. Born 19th November 1847 in Pound Green, Freshwater and christened 9 days later, Mary Ann Hillier was the daughter of John, a shoe-maker in his forties, and Martha. She was the fourth child, the last daughter, followed only by her brother George in 1850. Her parents had married surprisingly late in life, Martha 29 and John in his 30s, and the children followed over the next 11 years. Pound Green appears on the census as respectable, rural dwellings, home to dairymen, brickmakers and gardeners, labourers but some skilled and all necessary to the community. 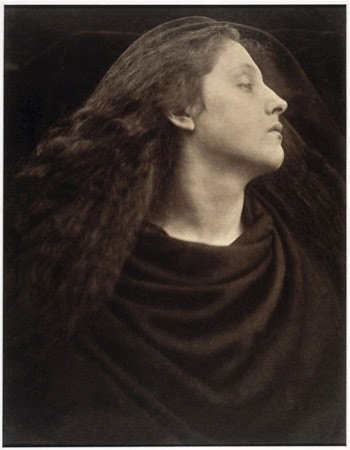 Mary was still living at home in the spring of 1861, where she and her brother are listed as scholars, but all that would change when she left home and moved down the road to Dimbola, into the employment of Julia Margaret Cameron. 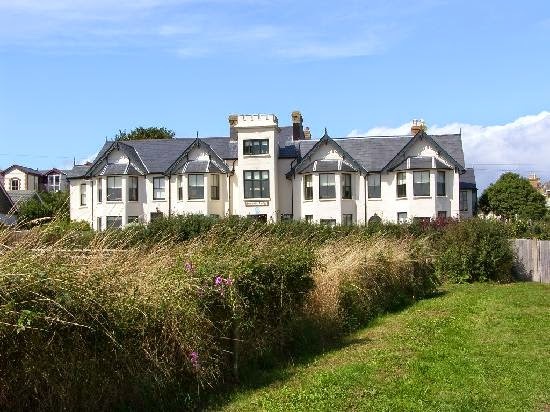 Normally, I would be cautious in describing the post of 'maid' as being positive, so many young women worked long, hard hours in menial, back-breaking labour, but in the case of the Cameron household, things were a little different. After all, how many maids got to act as a photographic assistant, both sides of the camera? 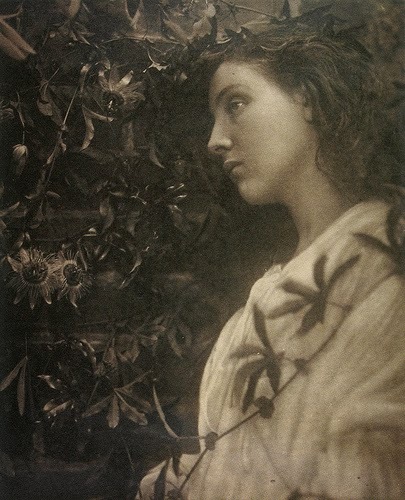 Cameron was a pioneer of artistic photography. 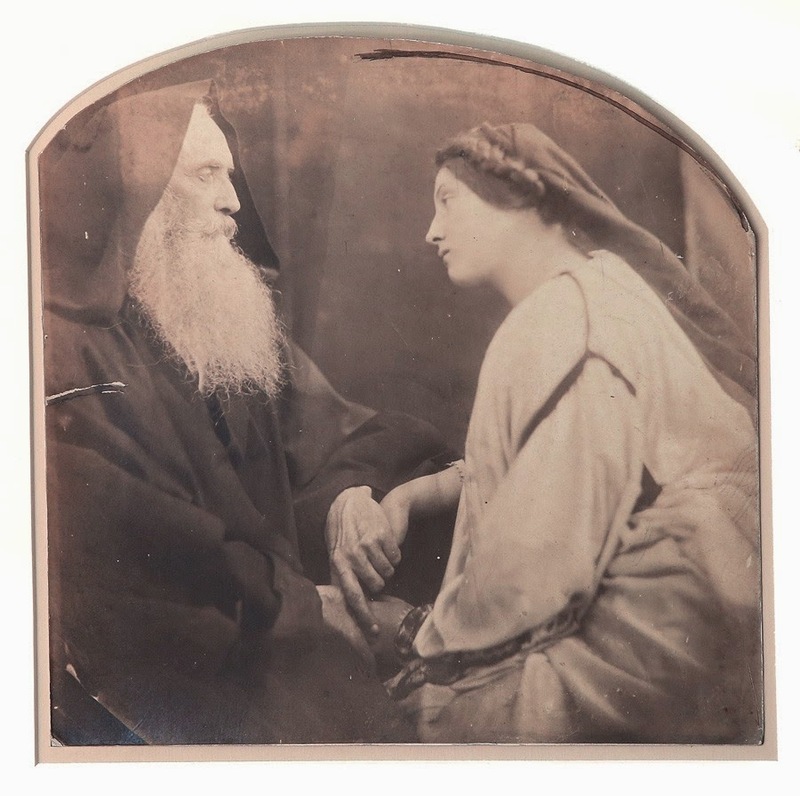 Still a relatively young process in the 1860s, photography was only just beginning to be used in a more fanciful, less factual way. 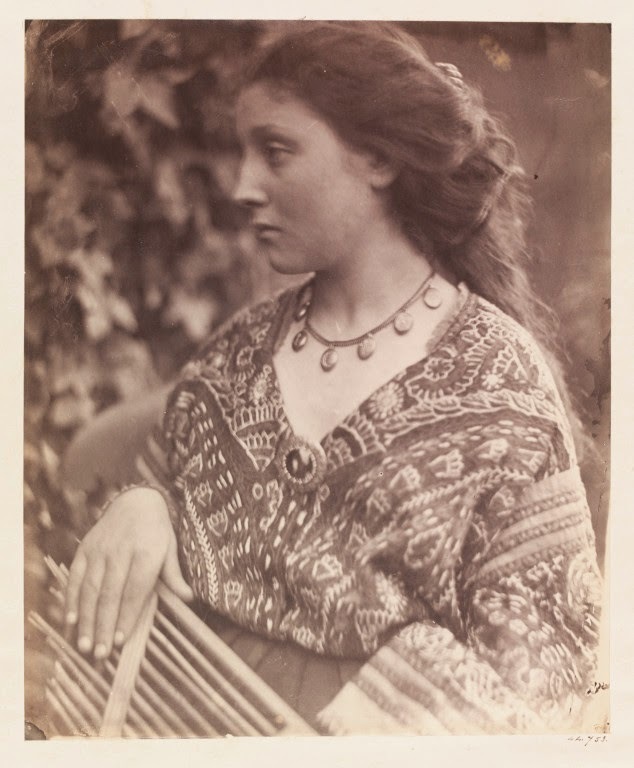 Having been given a camera for her 48th birthday (hope for me yet then) to keep her busy while her husband was travelling, Cameron ran an unusual household where the normal business of a Victorian home came second to art. Mary went to work as parlourmaid at Dimbola in 1861 on the recommendation of her sister, Sophia, who worked at Farringford, but possibly it wasn't only her dusting skills that Mrs Cameron considered when she employed her. Mary was very beautiful and served as both model and photographic assistant in a household where meals were served when the photographs were ready. 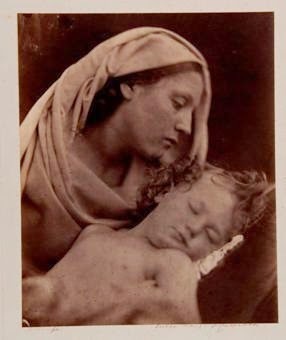 Mary was known as 'Mary Madonna' in Freshwater as she appeared repeatedly in images as the Virgin Mary, either holding a baby or on her own, her head covered with a cloak, creating a halo. One of Cameron's friends described how Cameron: 'would show off to her friends the Mary who was called, from the shape of her face, 'Madonna', using various devices to exhibit her to the best advantage. 'Mary, do stand on that chair and pull down that high curtain'. Then, turning to her friend, 'Isn't she perfect in that light, and in profile as you see her now?'' Cameron herself said 'So many think I idealize and glorify my beautiful madonna but I know all her expressions - and know all the beauty.' Reading Cameron's response to her staff you get a feeling that Cameron more than employed her staff, she adopted them as family (literally in the case of Mary Ryan, a Irish girl she found on the streets of London, and who ended up being married to Lord Cotton). Mary assisted her employer not just in front of the camera, but also did a large amount of the practical business of developing the images. Doing so in the 1860s was a hard process, including preparing and developing the negatives and producing the large finished prints. Cameron used the wet collodion method, which involved polishing the plate to produce a clean surface then pouring a layer of liquid collodion (cotton dissolved in nitric and sulphuric acid mixed with potassium iodine which would stain anything and everything black) evenly over the surface. Before that dried the plate was bathed into a solution of silver nitrate to make it light sensitive. This prepared plate was then mounted, in the dark, into the wooden holder of the camera. The plate was ready to be exposed and the picture captured. 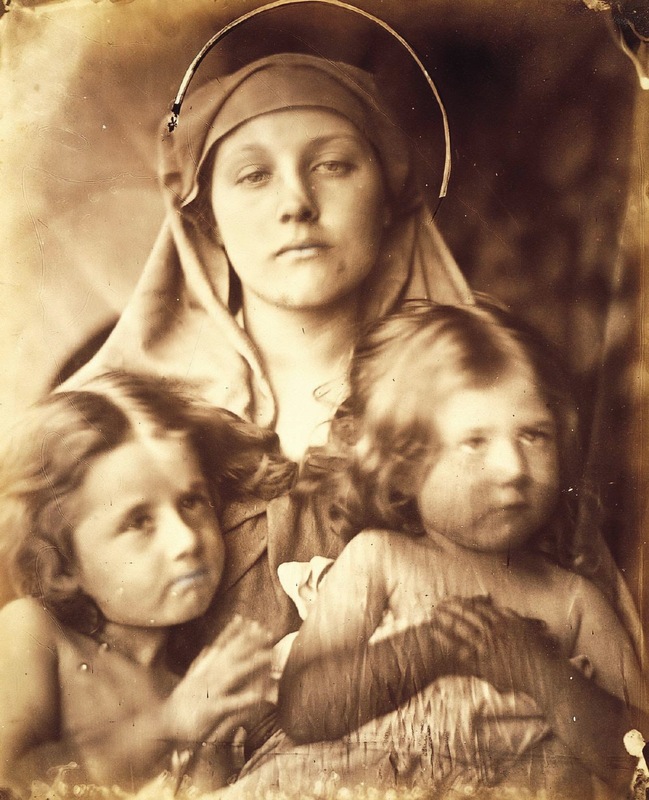 After the long exposure had been achieved and the image captured, Mary would then have to assist with pouring developing fluid over the plate to develop the negative, then plunge the plate into chemical baths, rinse then vanish to protect it. It was a long and difficult process, and not the most modern of techniques by that point, but it produced such a depth of delicate detail that the work was worth it. Unlike other photographers working at that time, Cameron used no head clamps or anything else to keep her subjects still for the long exposure times, which often gives the image a dreamy blur where slight movements have been recorded as a softening in sharp details. 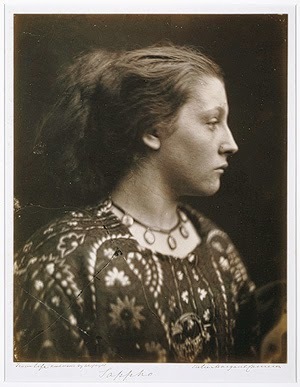 During the summer months she took photographs outside or used the blinds in her studio (a converted hen house) to control the shadow and light on her subject's faces, often to startling effect. 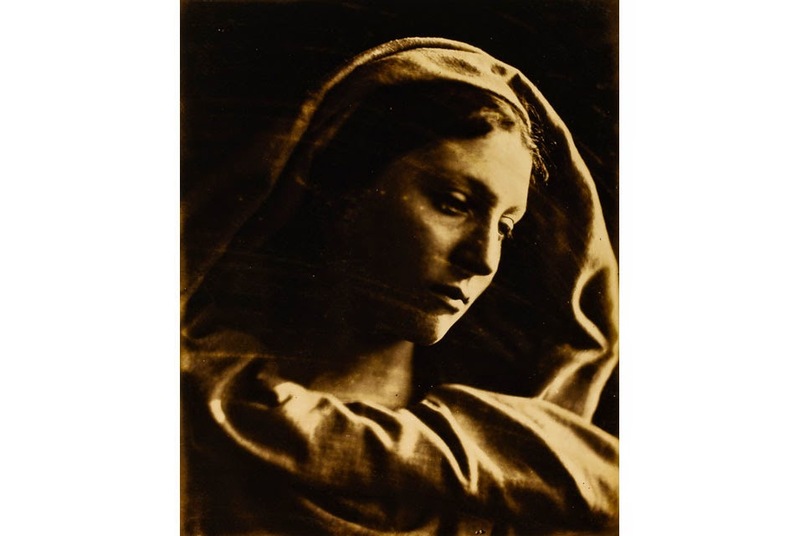 My favourite of all Cameron's photographs is this one of Mary, twenty years old, her face lit starkly and her draped cloak a mass of shadows. The title, from Tennyson's Idylls of the King shows Elaine's despair and desperation at her desertion by Lancelot. Mary's expression of watchful oblivion shows us a woman who has waited so long for her lover's return, she no longer feels reality. Mary remained in Mrs Cameron's service until the family returned to Ceylon in 1875. 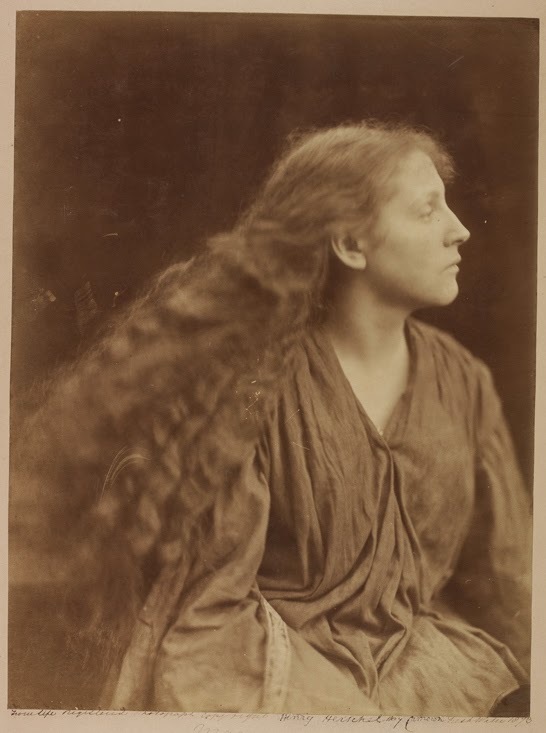 In December 1877, she married Thomas Gilbert, the son of a police constable, who had been a railway official before becoming gardener to G F Watts at The Briary. The couple had eight children, including Julia Mary (presumably named after Mrs Cameron) and sons, Thomas and Godfrey who died in the First World War and appear on the memorial outside All Saints Church, Freshwater. Godfrey died in France in January 1915, aged 24. His elder brother Thomas married Ethel Kelleway in the summer of 1914, possibly wishing to safeguard her future should she be widowed. He died in 1918, months from the end of the conflict. The family remained in Freshwater and three of Mary's daughter followed her into domestic service She was known for her grace and beauty even when an old, blind lady. Local schoolchildren remembered her as the elderly woman who allowed them into her garden to pick apples for 'a 'apenny a 'atful', which sounds like something my Grandma would say in probably the same accent. Her husband died in 1928 and Mary died, aged 88 in 1936, and is buried in All Saints churchyard, close to the Tennyson family vault. On her stone is inscribed 'Her children rise up and call her blessed'. It seems a fitting epitaph for a maid who will be forever remembered as the Freshwater Madonna. This is a fascinating story. Cameron sounds so lovely, as well as an amazing photographer! It's really interesting to learn how painstaking photography wasback then, and yet her photography is some of my all time favourites! It is interesting to think that the dreamy blur I love so much is caused by slight movement during long exposure! I used to do proper photography with my Dad, including developing film and printing in a dark room, and that was tricky and smelly enough! This was dangerous but utterly worth it for such beauty. Another fascinating post. 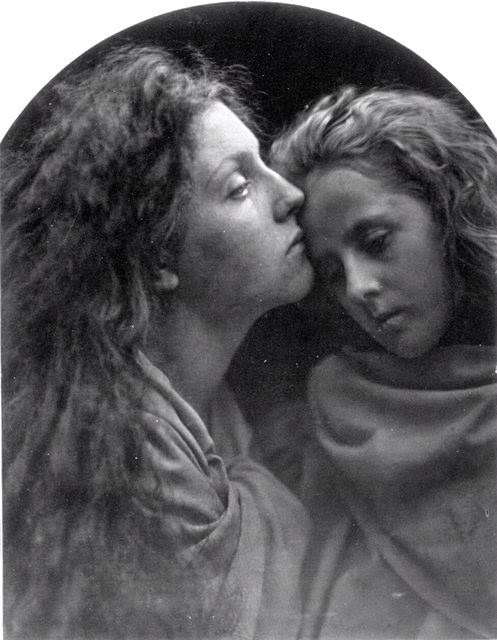 I think Julia Margaret Cameron took some of the most beautiful and atmospheric images which are still amazing, even in today's digital image-driven world. To find out about some of her models is intriguing too - it adds such a lot to an image to find out about the model and the way in which the image was taken. Brilliant post Kirsty. It brings home the fact that these were real people not just fantasies of the artist's mind. The fact that she died in 1936, well within living memory, links us directly with that magical age. You didn't say what relation she was to you? Anyway as they say up here in Newcastle, she was a bonny lass! Thanks for your comments. My Mum's family were Gilberts and when I read which small corner of Wiltshire Thomas came from I couldn't believe it, but lo and behold! It really does bring it home, you're right. I'm not kidding about the little old man I met, I wondered if he knew the sons because he sat himself down at Emily's tomb and was there only to visit her. Very emotional. Thanks for the comments and here's to the next 400 posts! Fascinating - I'm pleased to say I've found I can access your blog if I use wifi rather than the mobile network. I have about a year's backlog of posts to get to so apologies in advance if you get comments from me on long forgotten topics! Just brilliant. So much l never knew.